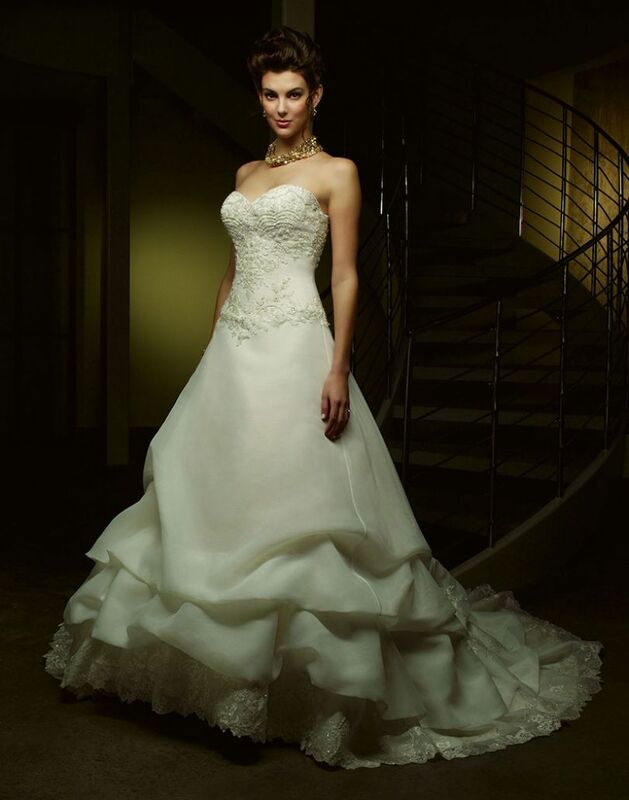 Charming sweetheart neckline outlines beautifully beaded bodice with basque waist. One-of-a-kind skirt has pick ups at the hemline and scalloped beaded lace at the edge. Hand beaded buttons decorate the skirt and chapel length train.